Pierre Koukjian is behind The Bichrono Tech, a new design that rivets the attention with its XXL tonneau case, an imposing 55 millimetres wide for a man who has nerves of steel. The two cleverly juxtaposed movements for a single dial make for intuitive reading of two time zones, two chronographs and the date. 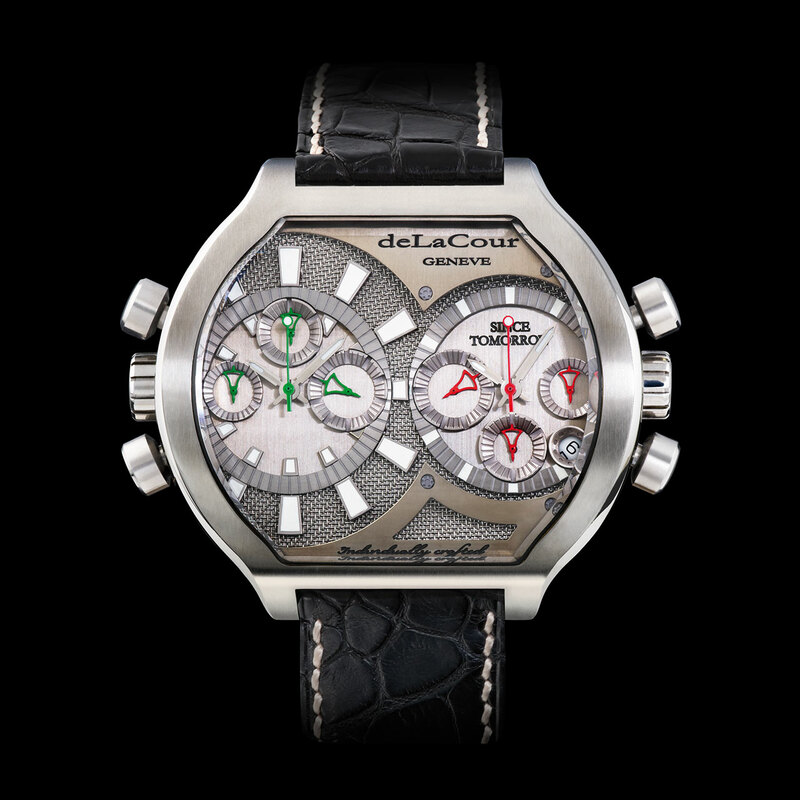 The dial's twin levels accentuate the 3D effect. A steel mesh covers the back of the dial while two cutaway polished steel plates mirror the contours of the counters. Two pushers and a crown naturally take their place on each side of the case. 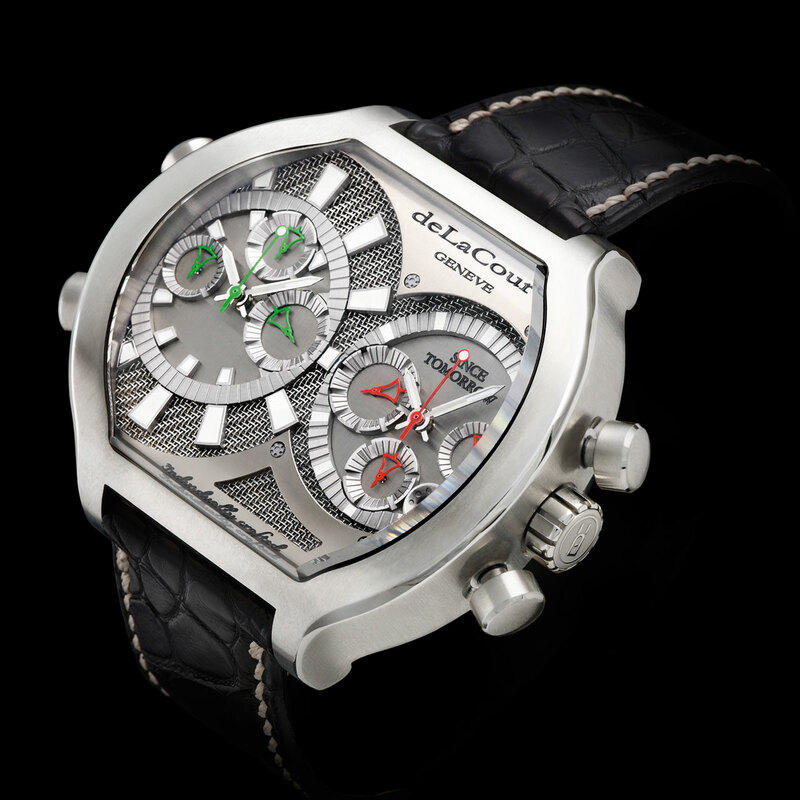 A hi-tech, sporting, dynamic and contemporary design for men who aren't afraid to speak their mind.